Izzo MyWay Vivi PID IV is a new version of the classic Vivi espresso machine. 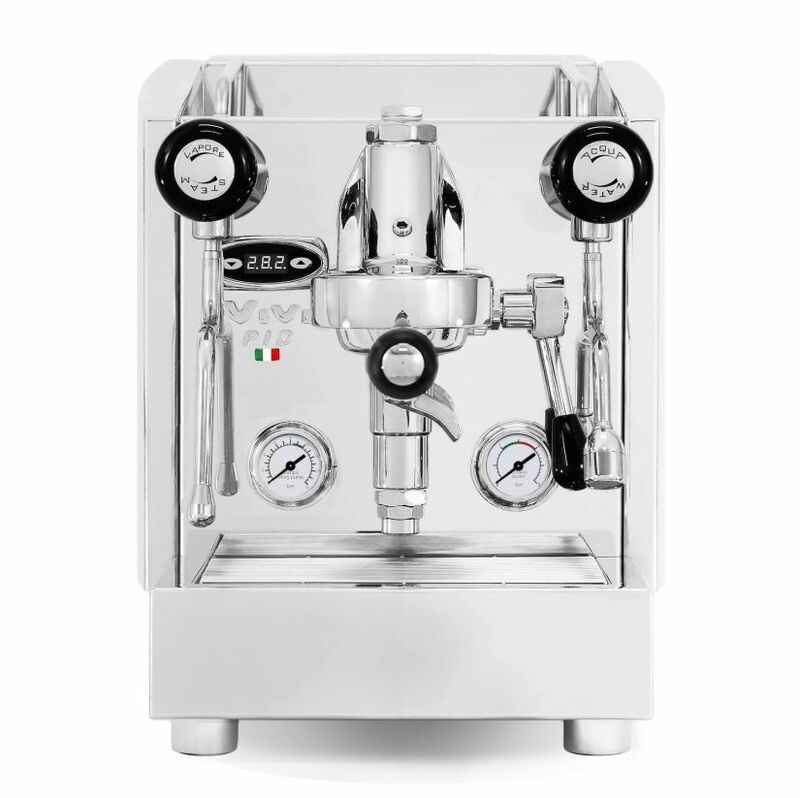 This high quality espresso machine has a a heat exchanger, which means that you can foam milk and brew espresso at the same time without waiting. The machine comes with a large 1-liter boiler and a powerful 1400 W heater, which guarantees that you will never run out of steam when foaming milk for your cappuccino. The boiler has a water level meter and is automatically filled. The brewing unit is constantly kept warm by water circulating through the unit thanks to the Termo-Syphon system, which provides precise heat stability while brewing your espresso. The classic E61 brew head comes with a lever to start the extraction of espresso. Enjoy making professional quality espresso! The Izzo MyWay VIVI comes with a PID function to control the brewing temperature. Via the controller, you adjust the boiler pressure affecting the brewing temperature. The PID provides a stable temperature in the boiler and full temperature control for you as a barista. The Izzo MyWay Vivi has a no-burn steam wand and water outlet. The Izzo MyWay Vivi PID IV is simply a great espresso machine both for the espresso enthusiast at home as well as a machine for a smaller café. Don't forget to buy a desent coffee grinder as well to get the best result from this machine!